Yorkton RCMP says the occupants of a car hit by a gravel truck on the southern edge of Yorkton Tuesday evening were taken to hospital for treatment of their injuries, with some needing to be airlifted by STARS Air Ambulance. It's not clear how many passengers were in the car at the time. 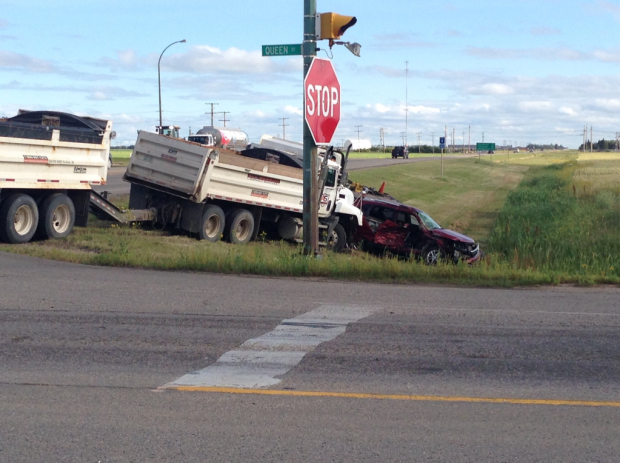 The crash happened at the intersection of Highway 9 and Queen Street just outside Yorkton shortly after 4pm Tuesday. The lone driver of the gravel truck was treated on scene and released. Yorkton RCMP are investigating the crash, but said they don't believe alcohol or speed were factors.